Abruptly, your old life seems distant. Yet expected, deep down, to hold treasure. Before your eyes your future shrinks. Now this dark companion has come between you. Distances have opened in your eyes. A stranger has married your heart. Feel so isolated and lost. May grace come to restore you to balance. Who has come to open your life to new worlds. The new qualities that will emerge in you. Help to release whatever has become false in you. Profound enough to call the storm to stillness. Ask it why it came. Why it chose your friendship. What quality of space it wants to create in you. That your presence may shine in the world. Toward the healing and freedom of dawn. From the riches of this dark invitation. Theoretically, I agree with O’Donohue’s mission, but as I suspect is the case with most of us, the truth is that I find myself recoiling and pushing against the images his poem invokes. The lines “To embrace this illness as a teacher” and, further within the poem, “Why it chose your friendship,” feel supremely uncomfortable. On the one hand, “embrace,” “teacher” and “friendship” conjure images of safety and comfort, while “illness,” is synonymous with pain and disillusionment. Placed together, the images feel unjust and unwanted. My spirit does not want illness to be “teacher,” any more than it wants it to be “friend.” And, yet, what I have to acknowledge as a human and specifically, a healthcare worker – and what I think O’Donohue is challenging us to accept – is that regardless of my reactivity and rejection of the possibility, suffering does exist and quite frequently, we are powerless in its pursuit. To this end, the question must be asked: How does my belief or disbelief in the transformative power of ambiguity or suffering guide my interactions with myself, as well as with my friend, partner or patient? Do I believe that “illness” (replace with any word or situation that connotes confusion or difficulty) can guide me toward a fuller understanding of myself? Do I believe that my patients, too, have this opportunity, and that they, discharged home with newly acquired physical limitations and altered independence, may also become more aware and expanded versions of themselves? If I do subscribe to such, how do I write goals and design treatments sustained by this belief? How does it guide the words I choose to impart hope while in the midst of disillusionment? Do I act or speak in a manner that facilitates acceptance without also encouraging passivity? Am I patient with their journey – and my own – toward recovery, acknowledgement and a future of revised images and dreams? O’Donohue J. To Bless the Space Between Us: A Book of Blessings. New York, NY: Doubleday; 2008. Wroe M. John O’Donohue: Former Catholic priest turned visionary bestselling author. theguardian Web site. https://www.theguardian.com/world/2008/apr/15/religion. Published April 18, 2008. Accessed September 1, 2016. A word from John’s family. John O’ Donohue Web site. http://www.johnodonohue.com/words. Accessed September 5, 2016. John O’Donohue: About. John O’ Donohue Web site. http://www.johnodonohue.com/about. Accessed September 5, 2016. Kornbluth J. John O’Donohue (1954-2008): our new friend on the other side. The Huffington Post Web site. http://www.huffingtonpost.com/jesse-kornbluth/john-odonohue-19542008-ou_b_80710.html. Published January 9, 2008. Updated November 17, 2001. Accessed September 5, 2016. Higgins G. In memoriam. John O’ Donohue Web site. http://www.johnodonohue.com/memoriam/higgens. Accessed October 1, 2016. Dear J. The blessings of John O’Donohue. National Catholic Reporter: The Independent News Source Web site. https://www.ncronline.org/blogs/road-peace/blessings-john-odonohue. Published January 27, 2009. Accessed September 1, 2016. O’Donohue J. Anam Cara: A Book of Celtic Wisdom. New York, NY: HarperCollins Publishers, Inc; 1997. Tippett K. John O’Donohue – the inner landscape of beauty. On Being Web site. http://www.onbeing.org/program/john-o-donohue-the-inner-landscape-beauty/203. Published October 1, 2007. Updated August 6, 2015. Accessed June 1, 2016. Jenifer Breshears Markley, PT, DPT graduated with Honors from Emory University in 2000 with a Masters in Physical Therapy. She received her Doctor of Physical Therapy in 2010 from MGH Institute of Heath Professions in Boston Massachusetts. Dr. Markley worked clinically for over 13 years within a variety of pediatric settings with an emphasis on developmental pediatrics. 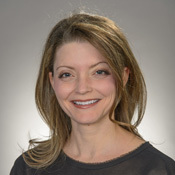 Concurrently, she worked in research with individuals post stroke on the NIH-funded, phase III, multi-site, randomized clinical trials EXCITE (Extremity Constraint Induced Therapy) and ICARE (Interdisciplinary Comprehensive Arm Rehabilitation Evaluation). Currently, Dr. Markley serves as the Assistant Director for Continuing Education within the Emory University Division of Physical Therapy and as the Faculty Associate Editor for the Journal of Humanities in Rehabilitation.